Home Unlabelled Tunde Lawuyi: So You Want To Be A Millionaire? Savings and investments are what lock in and accelerate your wealth building. If you consistently spend more than you earn, whether you are earning an income via employment, entrepreneurship, or any other means, you will not build lasting wealth. Bottom line, this is what separates the poor from the rich and the rich from the wealthy. I’ve talked about paying yourself first several times on my blog (a concept from the book, The Richest Man in Babylon). When you spend (pay others), you are sending your money away, never to return. When you save or invest (pay yourself) on the other hand, you are sending your money away and it will return to you bringing more money with it. The length of time in which you keep paying yourself and the frequency with which you do it will determine the size of your wealth. There are a number of concepts you need to be aware of if you plan to save and invest your way to wealth, but first of all, let me answer an important question. The words are often used interchangeably, but they are quite different in meaning. Saving is the act of putting money away regularly for a purpose. There may be interest earned or not, but by and large, you always get back what you put in as there is no risk involved (or there shouldn’t be anyway). With investments on the other hand, you are buying an asset which has a price and a value. It may be a physical asset like a property or a note like a bond or stock. Importantly, investments have two elements that savings do not, and they are risk and volatility. Unlike savings, the value of your investment can appreciate or depreciate (risk) also, the price and the perceived value can also be very different (volatility). More on this later. This is one of the most magical things about finance. It’s truly a gift from the gods of mathematics. Have you heard about the rule of 72? The rule of 72 simply calculates how long it will take for your money to double given a specific interest rate. Let me explain with an illustration. If you save ₦10,000 today in an account that pays 10% annual interest and don’t save a kobo more, that ₦10,000 will double in 7.2 years. If the interest rate is 15% per annum, that ₦10,000 will double in under 5 years (4.8 years to be exact) without doing anything at all. Now, here is what will really trip you. If you saved that ₦10,000 at 10% interest and continued saving ₦10,000 every month at the same rate, in 7.2 years, you would have created a string of doubling savings because every month going forward, each ₦10,000 will double and you would have created a stream of income. If you decide not to withdraw your original ₦10,000 and your ₦10,000 interest, your ₦20,000 will double again and become ₦40,000 in another 7.2 years. The doubling will continue until the money is withdrawn from the account. Imagine if you started saving at age 20 and didn’t withdraw the money till aged 60. That first ₦10,000 would have doubled 5.56 times to ₦452,000. This is how people become wealthy, folks—with patience and discipline. Now, for those of you who are screaming into your screens, “What about inflation?” Well, here is your answer: Inflation erodes the effect of interest. It is a fact of life. In a high inflation environment like Nigeria, inflation (currently at 11.3%) will net off any gains you make in interest. If you are earning 10% interest and the inflation rate is 11.3%, guess what, you are actually down by 1.3%. You would have been better off spending that ₦10,000 7.2 years ago. Or would you? This is where investments come in. Investments give you an opportunity to make returns that far outstrip the effects of inflation. Another key difference between saving and investing is that where you can save a little bit at a time (like ₦10,000 a month), with investing, you are committing a significant amount of cash at a time. This line has been blurred somewhat by instruments like mutual funds and savings bonds though. When you invest, the “price” of your investment can change based on its scarcity/availability, the perceived future value others may place on it, or based on the value you yourself have added into it. Depending on the type of asset you invest in, its value may increase over a number of years or even within a few weeks. Your ultimate reward is gained after you sell your asset for a price higher than what you paid for it, but you don’t necessarily have to sell it to get intermediate returns on your investment. In many cases, an investment will yield intermittent returns and they can come in different forms such as dividends, rental income, or just plain old interest. The stock market can give you capital appreciation of over 100% in one year, which is far above inflation. If you had money in the stock market eleven years ago, you will know that you can also lose as much. Investments are, however, a long term game. Remember risk and volatility? The prices of stocks are volatile, but if you invest in a company with strong earnings, one that has been around for donkey years, the risk over time is minimal. While investing, always keep in mind risk and volatility factors, and balance your basket of investments (called your portfolio) so that you optimize the risk of losses versus the possible returns. While property investing is often regarded as the safest class of investment, intermediate returns can be zero until you sell. If you buy a plot of land in your home town, for example, it’s unlikely to fetch you any revenue until you sell it, but the value should keep increasing steadily to balance out any medium term losses you make in shares. Well, that also depends on your home town; appreciation in land prices in Ikorodu is very different from that of Ikare-Akoko. How the wealthy super-charge their investments is by leveraging. Leveraging is basically using someone else’s money for your benefit. Someone with a wealth mindset for example will not sell an investment to buy another investment. He will rather borrow against the first investment, build another one, return the borrowed money, and end up with two investments. In summary, if you are going to get rich by investing, you need to amass a bulk of money, and that happens usually through saving or borrowing. I recommend that you start paying yourself by putting a small (or big) amount aside every month to reap the benefits of compounding interest. These savings should then be turned towards generating superior returns in an investment asset. This is only one way to become a millionaire. I discuss four other ways on my blog. If you are looking to start saving now and take advantage of compounding interest, check out this write up. 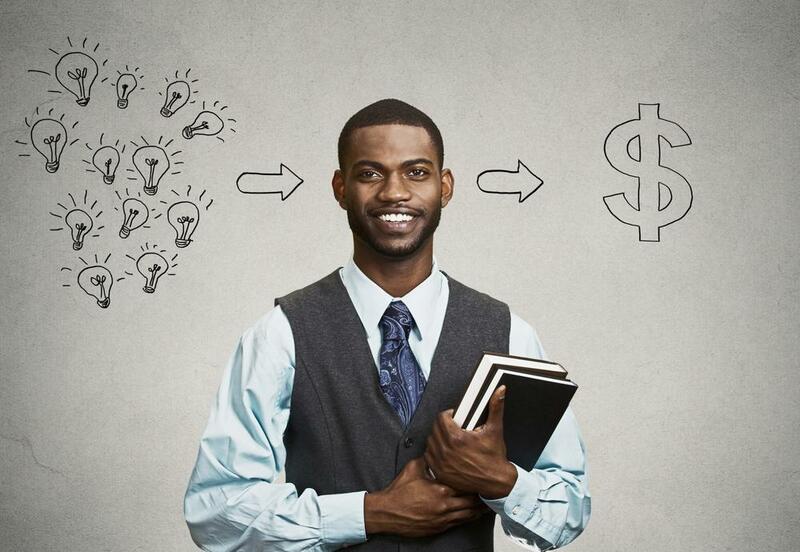 The post Tunde Lawuyi: So You Want To Be A Millionaire? appeared first on BellaNaija - Showcasing Africa to the world. Read today!.